HOT DEAL: Exclusive Hi-Spek discount offer on Samsung C9000 series TVs | What Hi-Fi? 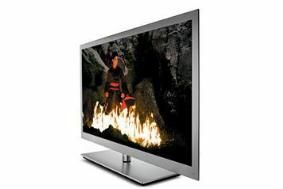 Buy any Samsung C9000 model TV – available in 40,46 and 55in screen sizes – from Hi-Spek between August 25th and September 1st 2010 and you'll qualify for a 10% discount. The purchase must be made in store. The offer applies to the Samsung UE55C9000, UE46C9000 and UE40C9000. To obtain the discount, click on this link to get your exclusive discount voucher, print it off and take it to Hi-Spek's St Albans store. You can watch our exclusive video review of the five-star Samsung UE55C9000 on our video channel, and read the full review here. And don't forget to vote for our 2010 Readers' Award, also sponsored by Hi-Spek. Do so, and you could win £300-worth of Hi-Spek vouchers to spend.